A Society of Individuals Who Share a Passion for Single Malt Whisky. The Black Swamp Single Malt Society was formed in June 2010 by a group of individuals for the sole purpose of providing a regular and formalized venue for those who have a passion for single malts to gather together to share, enjoy, explore, enrich, and expand their knowledge and familiarity of the single malt whiskies of the world (and on rare occasions other fine spirits). Our 51st Tasting Will Kick Off the New Year in February Our 51st Tasting will take place on February 10 and will feature whiskies expressions from a single distillery. The theme/title for the tasting is "Tasting the Classic Speysider" and will be hosted by Mario. Similar to vertical tasting based on a distillery's different age statements, Mario's tasting will provide with an opportunity to become more familiar with one distillery's flavor profile and the nuanced differences between their various bottlings. We'll be tasting six different expressions that are sure to offer something to please everyone. So mark your calendars and get ready to be wowed. Posted Jan 8, 2019, 11:34 AM by David R.
Our 50th Tasting the Undiscovered Country - December 16th It's hard to believe that we are about to hold our 50th tasting but come December 16th that's what we'll be doing. The theme for the tasting is The Undiscovered Country and continues our quest to taste at least one whisky expression from each of Scotland's operating distilleries.For our 50th tasting, we'll be tasting 6 single malts from 5 distilleries our Society has overlooked and bringing the number of distilleries we have yet to sample down to a mere 57. Hopefully we'll make it through the rest before any of us become mothballed. Posted Jan 7, 2019, 6:25 AM by David R.
We are a group of individuals who share a common interest and passion - Single Malt Whisky. Among our group are people who have just discovered the joys of single malt whiskies as well as experienced connoisseurs who are extremely knowledgeable. 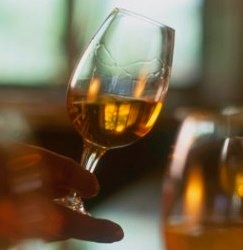 We meet to sample and learn about different single malts or to revisit previously tasted bottles of favorites. Nothing makes for a more enjoyable evening then sitting down with a group of people who love drinking and talking about whisky. While our meetings expand our knowledge and appreciation, they aren't stuffy as the title Society might make you think. We meet at various members' homes and other social gathering places and enjoy fantastic evenings tasting different single malts and having great conversations (and whenever possible great cigars as well).